In the race to be coolest dad, the hunt for new treehouses is on! Last January I took my daughter to a treehouse adventure for her 6th birthday. 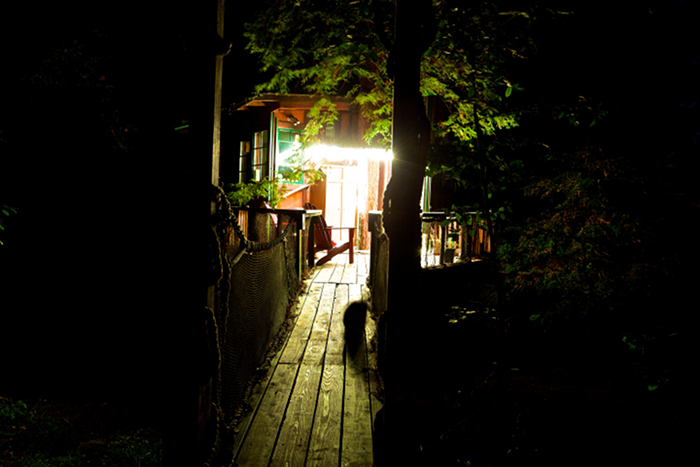 This weekend I treated my son for a night stay in a treehouse for his 5th birthday. 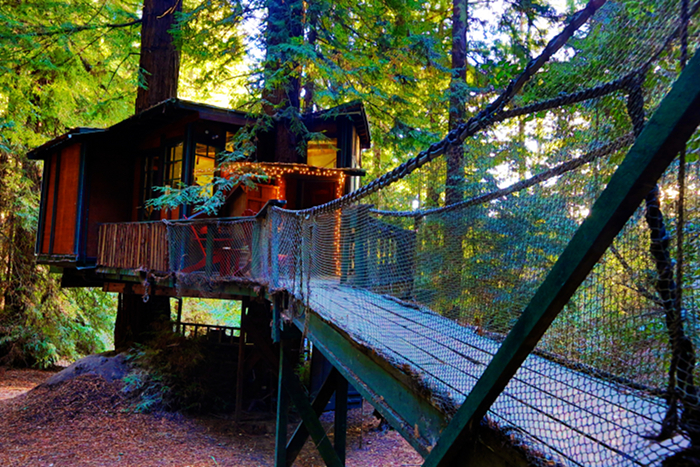 This time the treehouse was a little bit further out of the safe area of San Francisco, this treehouse is located in the Santa Cruz mountains in between Santa Cruz and Watsonville. 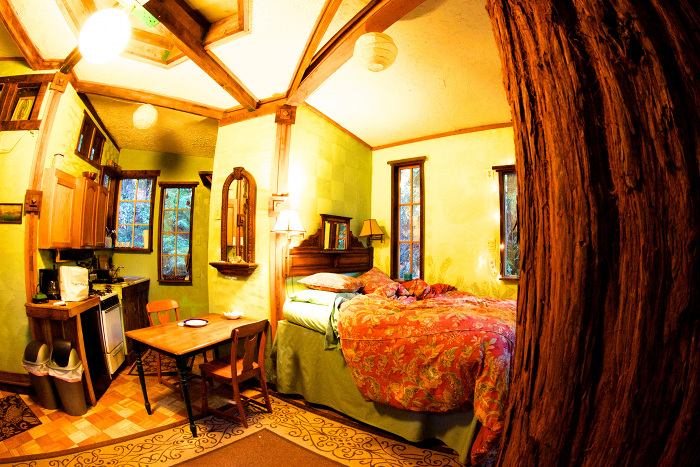 Right in the middle of the Redwood tree forest, you can find this Redwood Treehouse. The drive up is hard, especially as we did it in the dark, and relied on our GPS to get there. Big mistake, as the GPS did send us over the long road, through the woods, where the road was not paved. Without blankets or a lot of food and water in the car, being on the road where nobody drives made me nervous. Eventually we made it. These two pictures were taken with a tripod and a ultra long exposure time, since it is very dark in the woods after sunset. The Redwood trees are so high, that even at sunset the darkness comes really early. 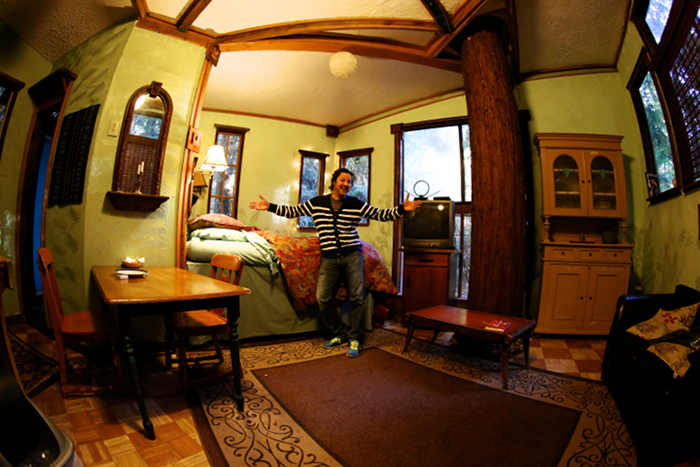 The treehouse is cozy, and has room for two, who will easily fit. In the picture below you will see that there is even a kitchen, and next to the table there is a door which leads to the bathroom with a toilet and a shower. 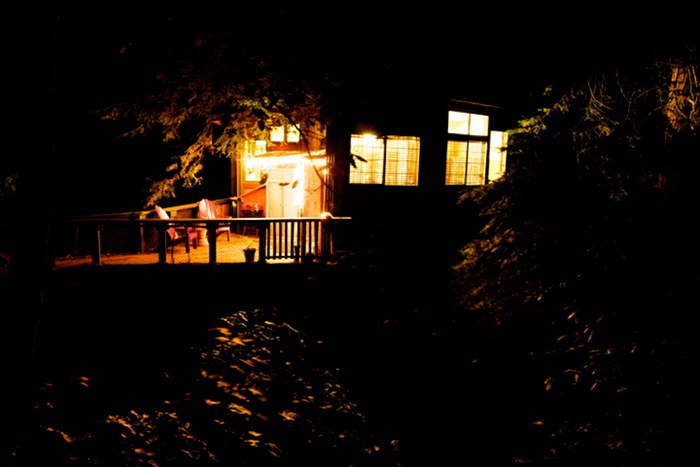 Outside, there is even a hot-tub, one we didn’t use, since we were late. In the morning we were enjoying the sunrise from our bed. We woke extra early at dawn to experience the sun bringing the light in between the trees, waking up the forest. The picture below is made by Mr. D who really wanted to make a picture of me with the treehouse. That was another treehouse adventure with one of my kids. Next year I will take the two, to give Fiona a break with the baby. That will be fun! Now on to look for another treehouse! Which one do you think we need to go visit? If it wasn’t for Airbnb, we probably would have never started this family tradition. 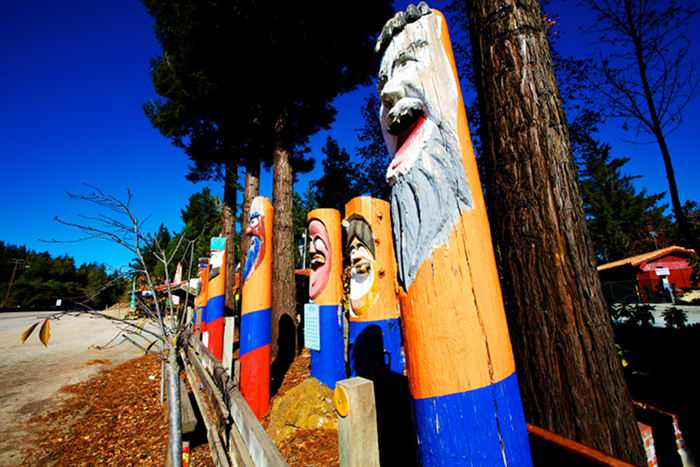 Where else can you find fun places to stay for a short staycation? I have my eye set on one of these Modernist Marvels, sleeping in a train or in one of these cool Airstreams. Hey, I’m Dutch, don’t judge our love for Caravans! 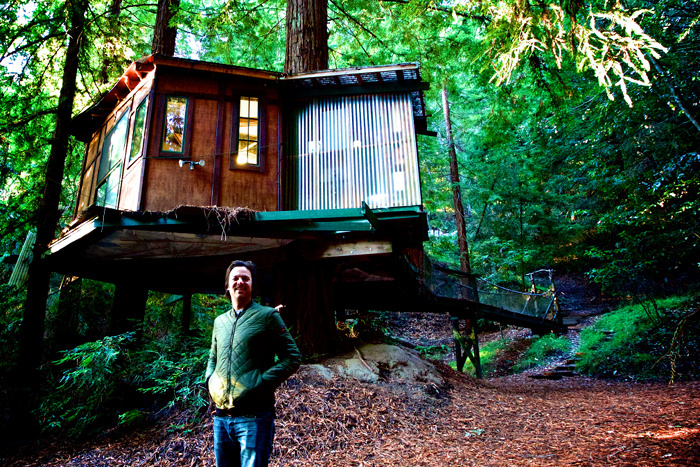 Enough to explore on Airbnb before we go checking on all these Exceptional Treehouses . The ability to stay in these cool places with my kids is helping me to build lasting memories of cool things my kids did when they were young. As my daughter was drawing a picture from the treehouse after her holidays break, instead of her Christmas presents, it shows how important and valuable these moments are for kids. If I keep up the tradition to go to a different treehouse every year, they will cherish these memories for the rest of their lives. That is worth much more than the next Barbie doll or Choo Choo train made in China.